Be the first to share your favorite memory, photo or story of Carie . This memorial page is dedicated for family, friends and future generations to celebrate the life of their loved one. 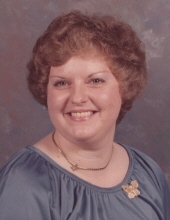 Carie Merle Owens Hayes, 70 years of age of Grundy, VA, formerly of Lascassas, TN, passed away Sunday, January 13, 2019 at Pikeville Medical Center, Pikeville, KY. Born October 10, 1948 in Grundy, VA, she was the daughter of the late Ellis and Bethel Wood Owens. Carie was of the Church Of Christ faith, liked to sew, quilt and make stained glass creations. She was a loving sister and aunt. In addition to her parents, she was preceded in death by her husband Roy Thomas Hayes November 26, 2011, sisters Teresa Justice, Sue Compton and infant sister Erma Jean Owens. Survivors include her sisters Millie Dale of Grundy, VA, Rhonda Owens and husband Terry of Birchleaf, VA; brothers J. C. Owens of Hendersonville, TN, Ronnie Owens and wife Pat of Taylorsville, NC, Jackie Owens and wife Marcella of Vansant, VA, Ellis Owens and wife Teresa of Harman, VA, Kenneth Owens and wife Diana of Oakwood, VA, Robert Owens of Bristol, VA, Sherman Owens of Harman, VA; several nieces and nephews. A Memorial Service for Carie Merle Owens Hayes will be held at the Jennings and Ayers Funeral Home, 820 S. Church Street, Murfreesboro, TN, 37130, Saturday, January 19, 2019 at 11:00 a.m. The family will receive friends at the Jennings and Ayers Funeral Home one hour prior to the Memorial Service at 11:00 a.m.
Online condolences may be sent to www.shortridgeramey.com and www.jenningsandayers.com. The family of Carie Merle Owens Hayes have entrusted the care of their loved one to Shortridge-Ramey Funeral Home of Grundy, VA.
"Email Address" would like to share the life celebration of Carie Merle Owens Hayes. Click on the "link" to go to share a favorite memory or leave a condolence message for the family.